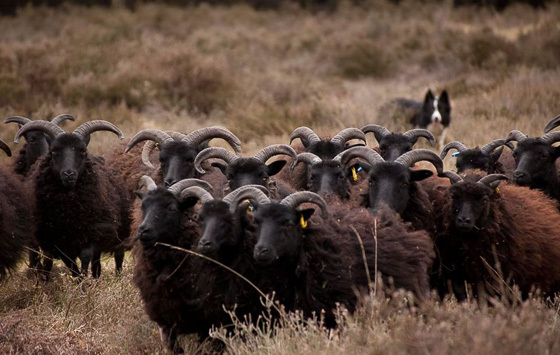 Throughout the UK, on a variety of types of site, Hebridean sheep have demonstrated that they are able to control the growth of several different unwanted invasive plant species. This, in turn, helps maintain a well managed, diverse flora. They are now being specified by the managers of many SSSIs (Sights of Special Scientific Interest), Reserves and Heritage Sites. 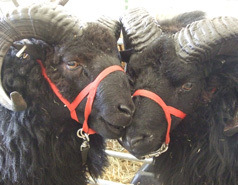 A few examples of how Hebridean Sheep have assisted in land management are given here. On lowland heaths (e.g. 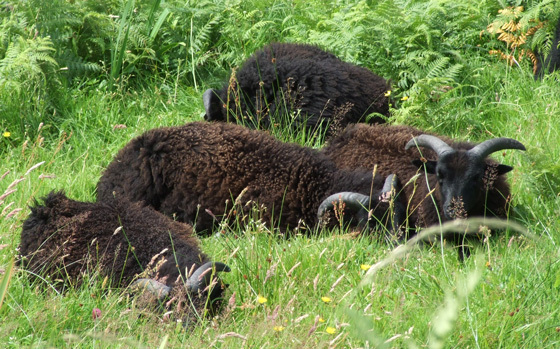 Skipwith and Strensall Commons, near York, and in North Lincolnshire) summer grazing by Hebridean ewes with their lambs prevents the regrowth of invasive birch and pine scrub and has put into reverse the spread of acid grassland species (e.g. Molinia caerulea - purple moor grass ). This has allowed the more delicate heathers and other heathland species to flourish, along with the invertebrates, mammals and birds dependent on them. When grazing pressure is well managed, Hebridean sheep can eradicate Molinia in just three seasons but leave the heather unharmed. 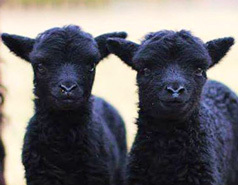 Of all the breeds tried, only Hebrideans have been able to cope sufficiently well with the wet conditions and poor grazing to be able to raise good twin lambs. The reduction in sheep numbers grazing Britain's upland moors and the EU funded extensification scheme are both intended to promote the re-growth of heather species on these hillsides. However, as the grazing pressure by local hill sheep (for example Swaledale or Scottish Blackface) is reduced, heather regeneration is being limited by a surge in the growth of Molinia. These large tussocks of deciduous, strong-growing grass smother young heather seedlings and so prevents the re-establishment of the heather moorland habitat. Gradually, the Molinia spreads doing further damage to the heathers. 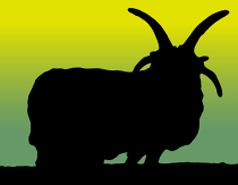 Trials conducted on lowland heaths for the Yorkshire Wildlife Trust, the Lincolnshire Trust for Nature Conservation and also undertaken in Cornwall have shown that, unlike other hill breeds, Hebridean Sheep graze Molinia in preference to heather. 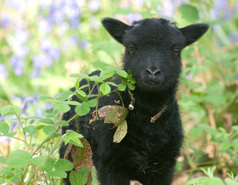 Furthermore, Hebridean Sheep readily remove sufficient leaf length from the Molinia to do it permanent damage. The usual hill breeds will only achieve this effect on Molinia if stocked so densely that they also further damage the heather. Trials conducted by the Game Conservancy on heather moors in Swaledale, North Yorkshire have shown that Hebrideans will reduce leaf length by more than 30% whereas other breeds (e.g. Swaledale) will only shorten it by up to 20%. Studies indicate that at least 25% reduction is required to produce permanent damage to Molinia. 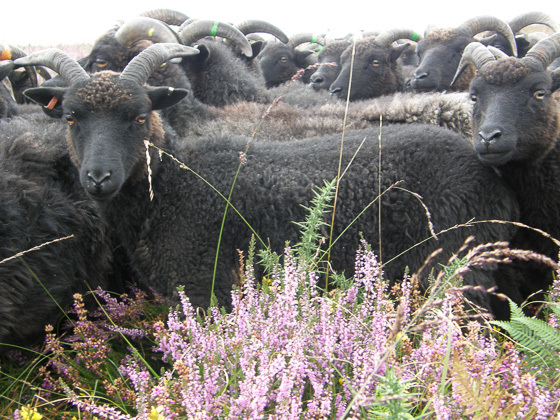 In a single summer grazing season, Hebrideans reduced the size of tussocks and broke into the dense mat they form, allowing the heather to re-establish. A percentage of Hebridean ewes in the hill flock will counterbalance the grazing effects of the white breeds, keeping Molinia in check and allowing the heather to flourish. On sand dunes and salt marshes (e.g. Spurn Point, Humberside) all year grazing by Hebridean hoggs has prevented the re-growth of Sea Buckthorn which would otherwise soon form a dense canopy and over-enrich the naturally poor soil by its nitrogen fixing activity. 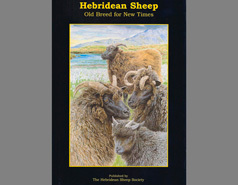 Despite the poor quality vegetation provided by the sand dunes, the Hebridean hoggs, which are put on in September, grow well, reaching typical adult weights by shearing time the following July. Yet, this vegetation is considered sub-maintenance for most other breeds. 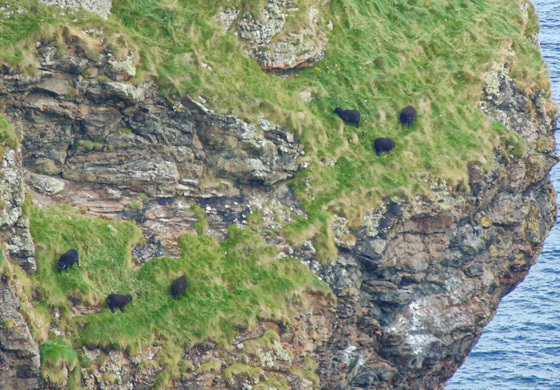 Hebridean sheep have also been successfully used to eradicate creeping willow from sand-dune systems. The Hebrideans' capacity to utilise a wide variety of forage of poor nutritional quality, coupled with their hardiness and strength makes them the ideal eco-tool. These qualities also make them a cost-efficient farm animal in many more intensive situations.